Cozy is designer Nat Puffer’s side-by-side version of Burt Rutan’s Long-EZ. It has a larger instrument panel, full dual controls, a large baggage compartment and the same efficiency, speed and range as Long-EZ, allowing passenger to assist with piloting/navigating, and makes long trips more pleasant and less fatiguing, as well as adding a margin of safety in bad-weather flying. 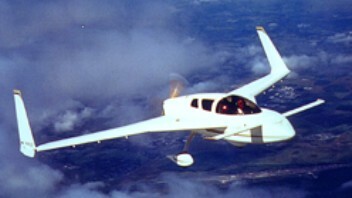 The Cozy MK IV is a high-performance, four-seat canard aircraft which is comfortable, efficient, and economical to build. It has a range of about 1,000 miles and a top speed of 200 mph. When constructed according to plans and operated within the approval C.G. range, the canard configuration makes it highly resistant to stalls or loss of position control. The MK IV features full dual control and two-axis trim. The composite construction is very strong, resistant to corrosion and fatigue. The MKIV features the same moldless construction as the Cozy. It used the same basic materials of foam, glass, cloth, and epoxy. AeroCad Inc also licence manufacture a development of the Cozy as the AeroCanard. Aircraft Spruce & Specialty Co. has acquired all existing inventory, tooling, and drawings for the prefabricated metal parts used in construction of the popular Cozy III and Cozy Mark IV aircraft as of January 1, 2004. 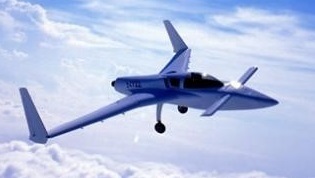 Ken Brock Manufacturing Co. of Stanton, CA produced the metal parts for the construction of the Cozy and Long-EZ aircraft since the mid-1970's until ceasing business operations on December 31, 2005. As the owner of the design rights for the Cozy Mark IV and the source for plans and kits, Aircraft Spruce continues to sell Brock's parts. There was no remaining inventory of some of the parts, but there are new alternate sources on most of them. These designs are protected with U.S. copyrights, and Aircraft Spruce has licensed no one else to copy all or any part of these designs to sell, loan, or give to others. Greg Richter converted his Cozy III from a Mazda RX7 motor car engine to General Electric T58 turbine jet engine power. The transformation was performed by Valerie Harris and Robert with EZJET at Covington, Tennessee, in 1991. Cruise (75 percent) 180 mph. Climb rate (gross) 900 fpm. Takeoff run (gross) 1050 ft.
Engine: Lycoming O-320, 160 hp. Engine: Lycoming O-360 180 hp. Max. front seat: 400 lbs. Max. range 40%: 1300 mi. Engine: Lycoming O-360A, 180 hp. Cruise 75% 8000 ft: 220 mph. Cruise 40% 12,000 ft: 185 mph.